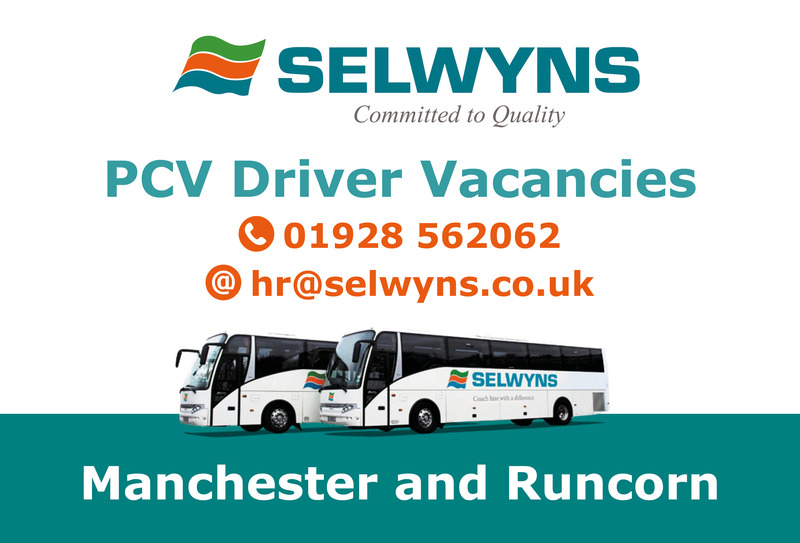 Selwyns have PCV driver vacancies at Manchester and Runcorn depots. Currently recruiting experienced PCV Coach Drivers to join our National Express, Private Hire, Bus and Airside teams. We have two depots one in Manchester and one in Runcorn. Selwyns Travel are a well-established coach firm with over 40 years’ experience and are part of the RATP Group who are the world’s fifth largest public transport company. 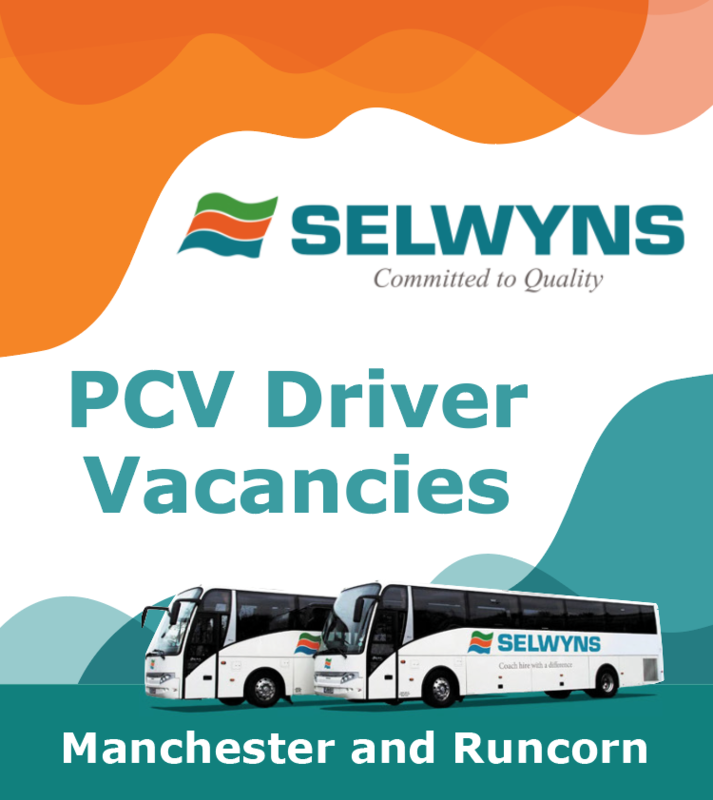 Apply by emailing your C.V. to HR@selwyns.co.uk, visiting our head office in Runcorn or calling a member of the HR team on 01928 562062 for further details. Please state in your application which Depot you would like to work from.